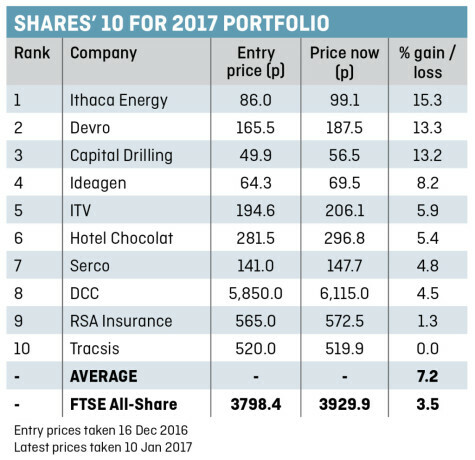 Our annual stock portfolio has delivered more than twice the gains as the wider market since we priced the selections in mid-December 2016. 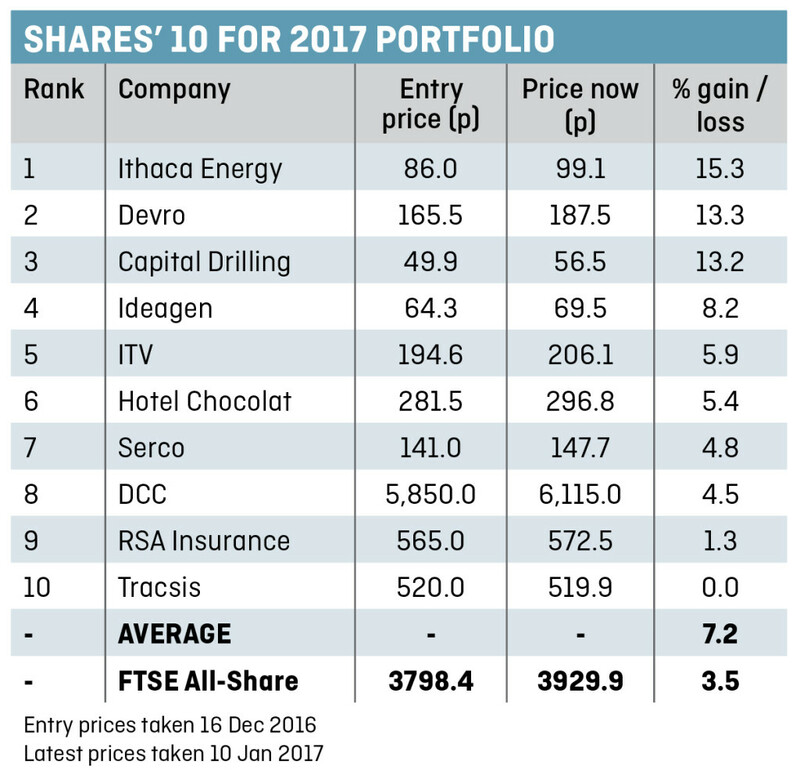 The ’10 for 2017’ portfolio is so far up by 7.2% on average versus a 3.5% gain from the FTSE All-Share index. One of the best performers is mining services group Capital Drilling (CAPD), up 13.2% to 56.49p. Broker FinnCap has included the stock in its top tips for 2017 and believes the shares could rise by another 50% this year, having upgraded its price target from 70p to 85p. ‘In the downturn, it has enhanced its competitive position; it has a well invested rig fleet with plenty of spare capacity,’ says FinnCap analyst David Buxton. ‘This will result in a high level of profit drop-through on additional contract wins.